When USA's Shooter adaptation premiered this past fall, the biggest concern the series presented viewers with was the possibility that the show's narrative -- with all its political maneuverings and cat-and-mouse war games -- would become too convoluted. Certainly, any show dealing with political espionage, federal agencies, and foreign interests has the potential to overcomplicate things. And while Shooter's first season often skirted that line, it also favored simple solutions to the complex problems its plot created, which kept things moving at a brisk pace -- not too fast to gloss over important details, but not too slow to lose the viewer's interest. And as the first season drew to a close while knocking some of the biggest pieces off of its chess board, the true simplicity of the season's core story came back into focus. Coming into tonight's finale, 'Primer Contact,' it didn't seem to matter who was really behind the Ukrainian president's assassination, nor what motivations they had for getting involved -- whether they be Jack Payne's (Eddie McClintock) search for a payday or Lon Scott's (Desmond Harrington) ego-driven quest to prove himself as the best sniper in the world. 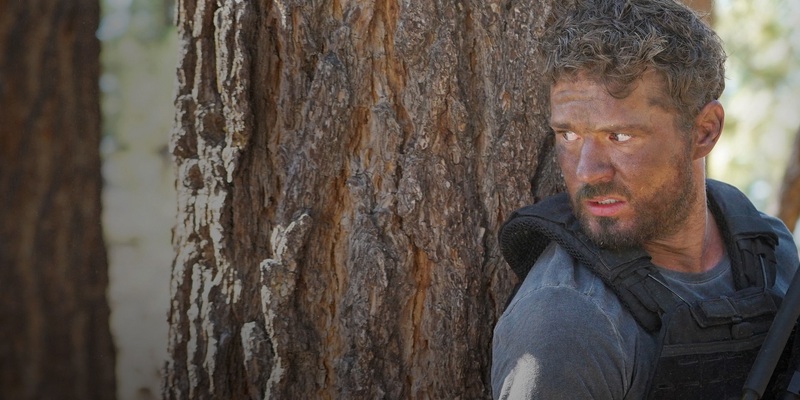 Instead, what really mattered was Bob Lee Swagger (Ryan Phillippe) and his ability to protect the only two things he cared about: his family and his freedom. As it turns out, Shooter seemed to succeed most when taking the clear and easy shot, regarding its characters and its story. When the show went for boiling the plot down to Swagger's fight to save his family -- as opposed to reveling in the genius of its own dramatic twists and turns -- it was ultimately more engaging. And when it opted to use simple devices like an all-important flash drive to move the narrative forward -- instead of introducing layers of complexity -- is when the series hit its stride. Fortunately, the finale also took this tried and true approach (for the most part) by embracing the show's undeniable B-movie trappings, paving the way for the appropriate conclusion to a conventional thriller storyline. Here, we had Swagger facing your typical against-all-odds scenario, with his family in need of a daring rescue and an impending showdown against a small army of stock villains. The setup and Swagger's inevitable victory were basically predetermined from the get-go, but that didn't make the final sequences any less enjoyable to watch unfold. As Swagger takes the fight to his home turf in the wilderness, and proceeds to take down his adversaries one by one with the inexplicable ability to dance around enemy gunfire, we're reminded how delicious a sweet slice of genre television can occasionally be. Of course, just as Swagger and the audience seem to be having their cake and eating it too, Shooter gets cute once again in the episode's final moments. After learning that Swagger has been exonerated in the assassination (and in the numerous bloody firefights that followed), it's revealed that Isaac (Omar Epps) has been working for the NSA all along; and that Jack Payne, Lon Scott, Meachum (Tom Sizemore) and even Krukov (Sean Cameron Michael) might have been merely pawns in the bigger chess game after all. With the show having already been renewed for a second season by the network, we can understand the need to tease something bigger ahead to retain viewer interest through the upcoming hiatus. But what the show's creative team might not realize (and it should by now) is that audiences that enjoyed the action of the show's first season probably care less about these cheap twists and more about the main character. This is all to say, we're willing to bet fans of Shooter would watch Swagger go into battle against just about anyone and in any fairly interesting circumstance; the intricacies of the plot being of secondary importance, at best. Though, to be fair, some of Shooter's attempts to liven up its story and keep viewers on their toes were appreciated. At times, the series did make some clever moves that added to the overall enjoyment of the series, like when Swagger outwits a determined Lon Scott -- instead of outshooting him -- by planting a defective bullet in with the rest of his ammo. And we're certain the series will have plenty more tricks up its sleeve when it returns for season 2, but let's hope it remains focused on what's gotten it this far: an admirable hero and the right balance of action and intrigue. Shooter season 2 is scheduled to premiere on USA Network this summer.